This entry was posted in News and tagged Nationwide, RTE on May 17, 2015 by Karen Power. 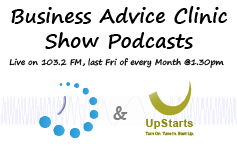 Thanks to Kelly on Upstarts and Peter Cronin from Alaymont International for their tips and advice as I journey with Butterfly Barn. We spent the first day of summer chatting about how I can bring the book to the attention of more readers. As an author this was my first radio interview in Dublin. Kelly made me feel relaxed and Peter asked the hard questions. This entry was posted in News and tagged Dublin City FM, Upstarts on May 2, 2015 by Karen Power. 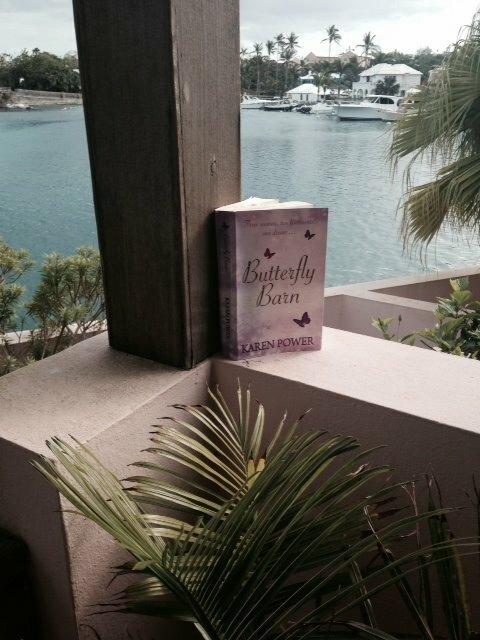 Thanks to readers Butterfly Barn is travelling the world. 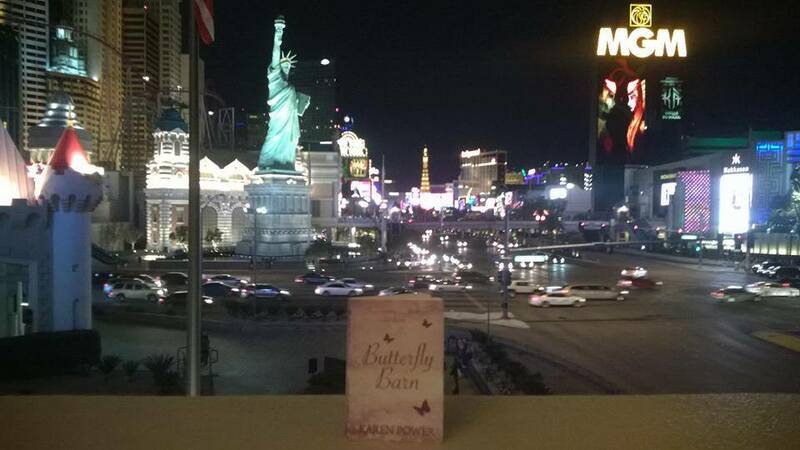 Every other day I receive photos of Butterfly Barn from near and far. I am so grateful to you all for taking the time to do this. 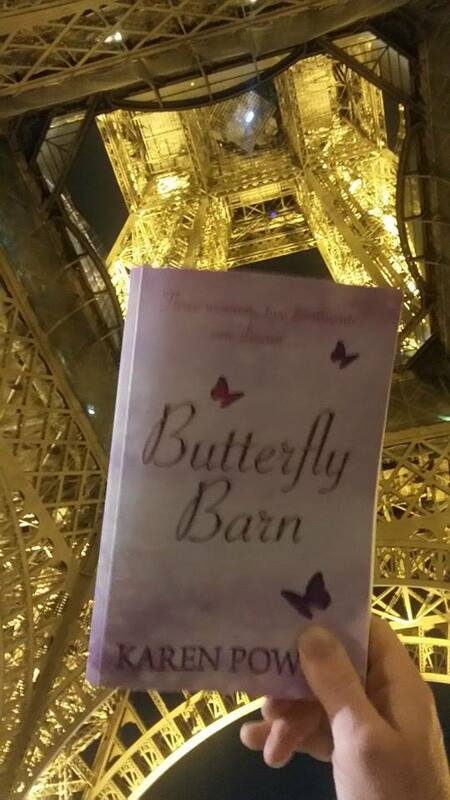 It all started when one reader went to Paris and took a fantastic shot of Butterfly Barn, under the Eiffel Tour at night. Since then photographs appear either to my email or Facebook page from places I would never have imagined. Just to give you a feel, here are some examples. This entry was posted in News and tagged Photographs From Around The World on April 24, 2015 by Karen Power. 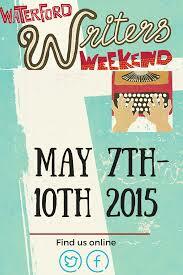 This entry was posted in News and tagged Waterford, Weekend, Writers on April 18, 2015 by Karen Power. 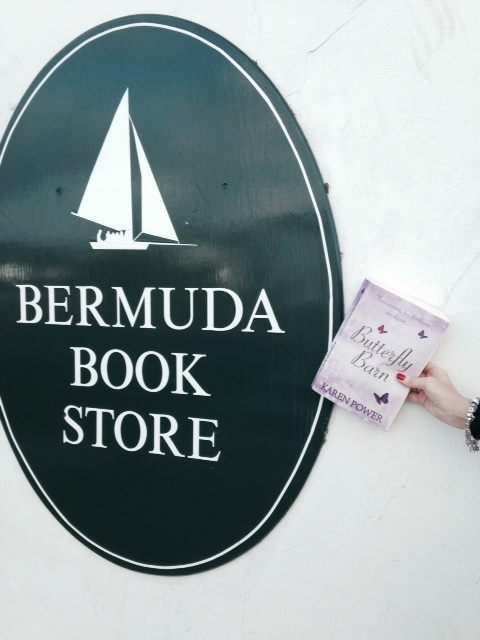 A beautiful person called Bernadette Philips contacted me after reading Butterfly Barn. She said, “You need to meet Mary and Nick Ryan.” Bernadette didn’t get into details with either the Ryan’s or myself, just simply that we had to meet. So on Sunday last (22 March) Bernadette and I drove to New Ross. What I discovered was mind blowing!! This entry was posted in News on March 29, 2015 by Karen Power. This entry was posted in News on March 17, 2015 by Karen Power. This entry was posted in News on March 15, 2015 by Karen Power. In the middle of all of this, a reader asked, “Why are you so surprised by how much we love the book?” It’s taken me awhile to answer. 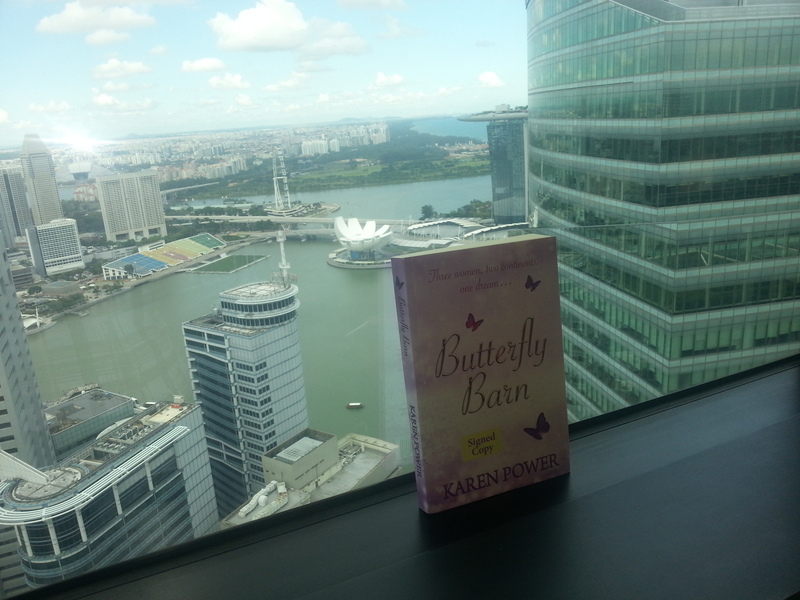 I’ve always believed in Butterfly Barn, I love the characters and what they stand for. I also dream that someday such a place will exist. I suppose I’m surprised by its success because I took a road less travelled by self-publishing. Originally, I had planned to have the launch in an Art Gallery and risk printing 100 books. I love the smell and feel of a book so it was important to me to have a physical book. I never imagined The Book Centre, Waterford and Eason’s Dungarvan would give me the opportunity to launch Butterfly Barn in their stores nor did I think Argosy Wholsalers would take stock making it available to bookstores across Ireland. I am amazed that over 1,800 printed copies have been sold to date, mostly across the South-East. A huge thanks to Woman’s Way magazine for Butterfly Barn’s first mention in a national magazine last week. Chenile at Kazoo Publishing made it possible for me to hold a beautiful produced book in my hand and she uploaded it to every digital platform, Amazon Kindle, CreateSpace, Kobo, iBooks, Barnes and Nobles etc. Independent bookstores have also made it available on their websites. Butterfly Barn Facebook page has reached 1600 Likes. Every day, I receive photographs of the cover of the book from across the world from places like Bermuda, Florida, Paris, Prague to Sark Island and Sydney, all because readers are taking time from their busy lives to support this book. I will never be able to thank them enough. The Library Service in four counties has taken stock of the book and I have been invited along to do readings and talk about Butterfly Barn with their members. Book clubs are reading the book because of the variety of issues it addresses. This entry was posted in News on February 2, 2015 by Karen Power. This entry was posted in News on November 17, 2014 by Karen Power. This entry was posted in News and tagged Crettyard GAA on November 1, 2014 by Karen Power.